Amusement parks can be a lot of fun with the rides, games, and other activities. While you might visit one of these destination spots to enjoy all the attractions, it’s the atmosphere that really pulls you in and transforms the park into a magical place. That magic isn’t created with the waving of a wand – even though it may feel that way. It is curated from the combination of lights, music, staff members and you guessed it – special effects machines! 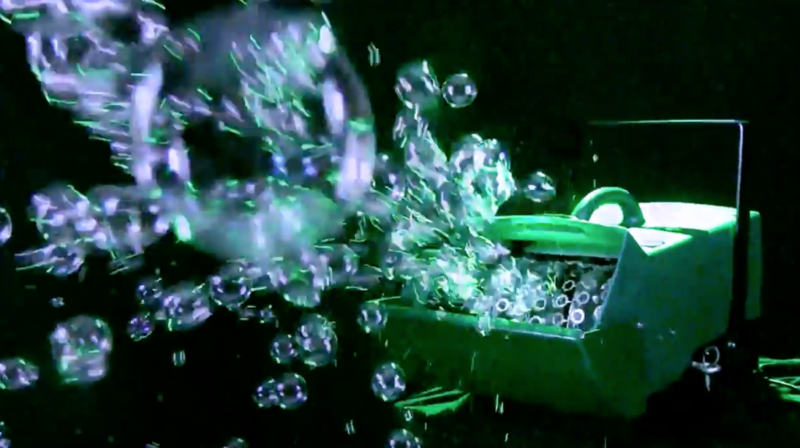 Our bubble machines are a vital part of creating the magical atmosphere of amusement parks. There’s just something ethereal and magical about bubbles. The way they reflect light, float up into the air, and pop when you least expect it makes them seem like something from a fantasy world. Bubbles are fun for all ages and, unlike some other festive things, don’t make a mess or require any cleanup. They’re also environmentally harmless, and the bubble fluid is budget-friendly. Even if you don’t have an amusement park, there are still many other events where you can use our Bubble Masters B-300A machine or one of our other bubble machines. 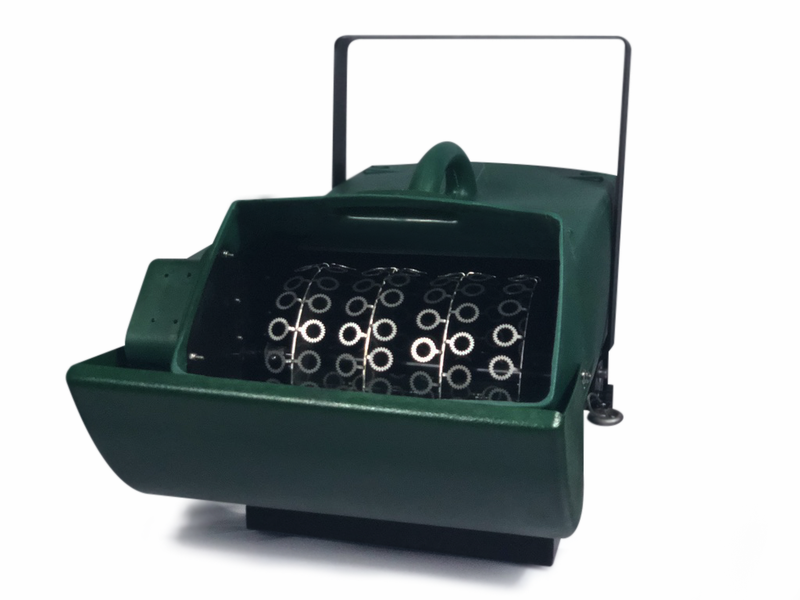 These little machines are perfect for wedding receptions, Bar Mitzvahs, school dances, theater productions, birthday parties, and any other type of event where you want to create a magical wonderland. All of our bubble machines are environmentally friendly and designed to be easily transported. 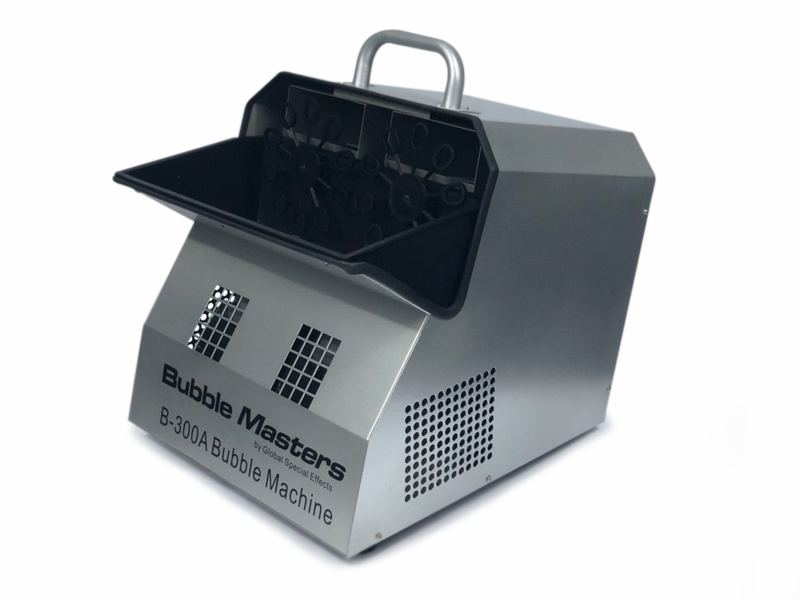 The smaller machines such as the BM-100 Bubble Machine create large bubbles that will wow your guests for the entire evening. If you need something that packs a bit more punch, you’ll want to look at the professional-quality Wright Bubble Machine. It’s designed for large events or commercial use and will create hundreds of bubbles in only a few minutes. If you’re in need of a bubble machine in Lexington, Alabama, or the surrounding areas, including Tennessee, Global Special Effects is here for you. We offer a number of top of the line bubble machines plus the fluid and extras such as glow in the dark additive. If bubbles don’t quite add enough magic for you, we also offer foam machines! Contact us today to learn more about all of the different special effects tools we offer! !